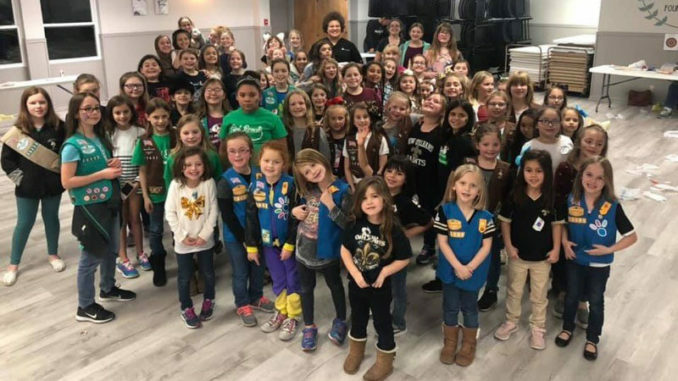 Scout Unit 216 kicked off the 2019 Cookie Season with a Cookie Rally on Jan. 11. Some 96 girls participated in the activities that revolved around Girl Scout cookies and badges. The Scouts had a chance to taste the cookies they are selling. They also collected non-perishable foods to help stock the food pantry at St. Anthony of Padua Catholic Church, who also allowed them to hold the Cookie Rally there.